I know that many of you are programming applications which need administrator permission to write on Operation System disk or do whatever that needs admin access. So lets start to show how can you do it in Visual Basic? 1. Open your Visual Basic Project. 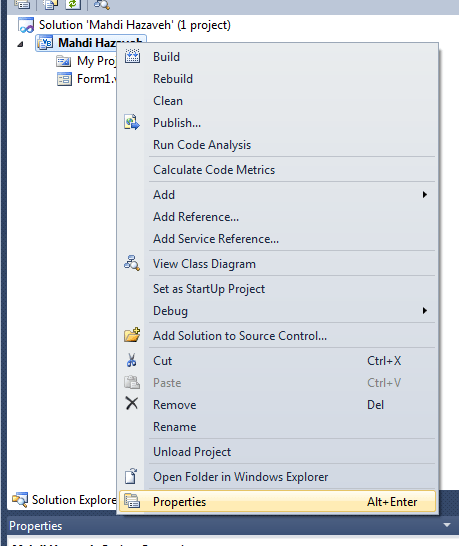 Right click on your Project name and select properties from right side menu. 2. 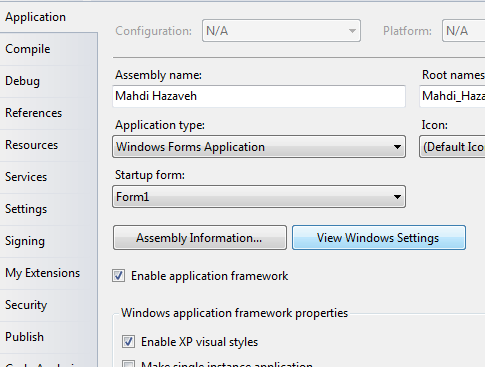 In application tab click on “View Windows Settings” button. 3. replace “asInvoker” with “requireAdministrator”. Essa opção “view windows settings” ..so iria ter no Windows 2010 ?